If you’re thinking billboards, you’re not wrong. 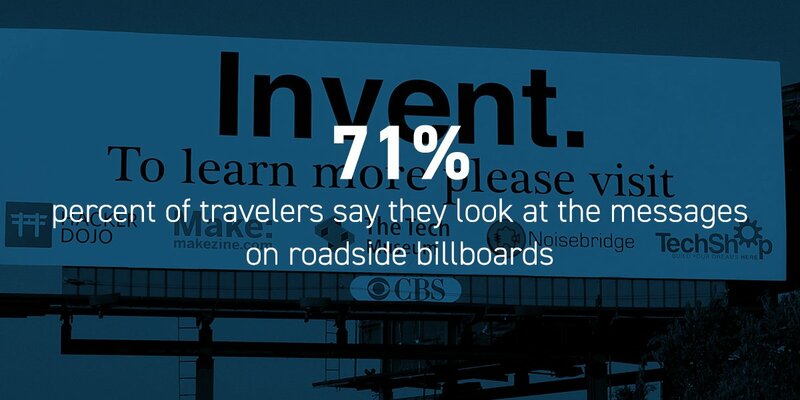 However, outdoor advertising has evolved to encompass so much more than that. Utilizing taxis and public transportation, bus shelters, and kiosks is a unique way to enhance your brand’s campaign. Partnering outdoor advertising with the support of radio or television ads keeps your brand top of mind. With the arrival of enhanced mobile technology, these outdoor exhibits can drive people to interact with your brand instantly. From QR codes and website addresses to handles and hashtags for popular social media, outdoor advertising is an exponentially cost effective and simple way to launch or continue the brand conversation.